Eden Hazard has admitted he is open to a move to Real Madrid and also insisted he wants to know if Conte stays at Chelsea or not. 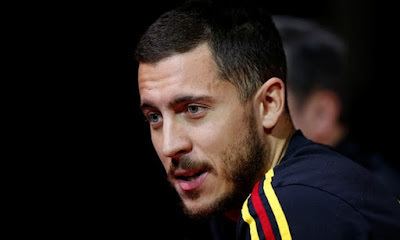 Eden Hazard has been a transfer target for Madrid for more than three season's now and the Belgium captain has now open up about wanting a move to the club. In an interview with L'Equipe, Hazard open up about the move to Madrid and also state the only reason he might decide to stay at Chelsea. Eden Hazard will captain the Belgium side during the World Cup and they will be playing their first game on Monday against Panama.